NOTE: This game is 2 years old. 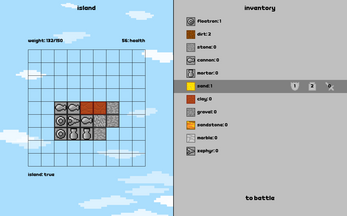 There is a newer version available here: IIslands of War. You are the builder of an island. But this is not just any island you are building, its a floating island. 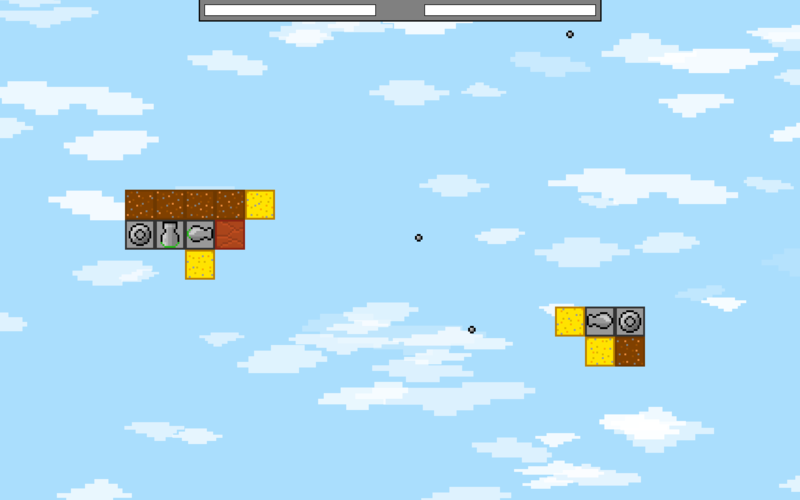 Start with a few resources and battle foes for more till you become the champion of the skies. 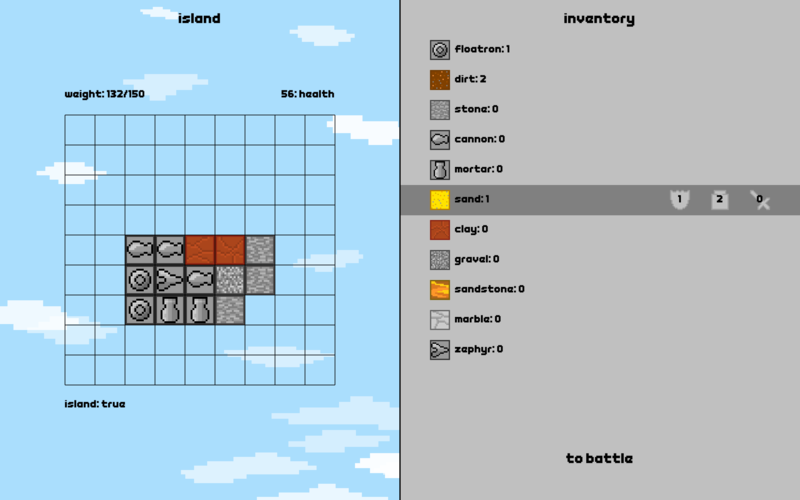 Islands of War is a simple game, where your goal is to build and destroy floating islands. You will need to strategically build your island so that you keep your island in the sky and your enemies in a heap of rubble. Battle for more rewards and more glory. Hey man. This game was made a few years ago and is no longer being supported. 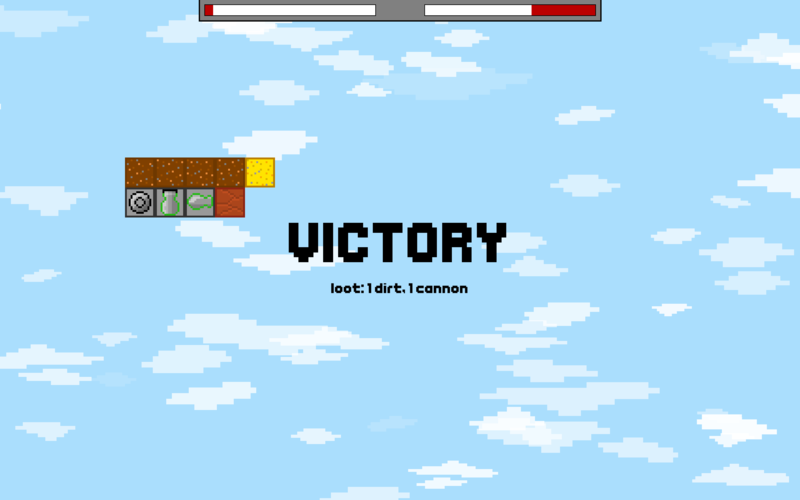 Check out https://jwiggs.itch.io/iislands-of-war for the new version. iOS and Android is currently not supported, but will be made available as time goes on. Thanks for your patience! Hey man. I'm so sorry I mixed up this game with the newer game IIslands of War a couple weeks ago and accidentally replaced the file with a super buggy version of this game. I have fixed this game so it works now, but I highly recommend playing the new one since this is 2 years old. 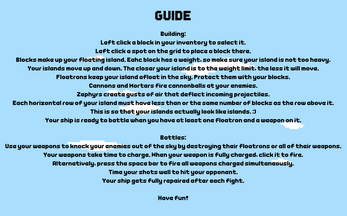 IIslands of War. You can click the link. 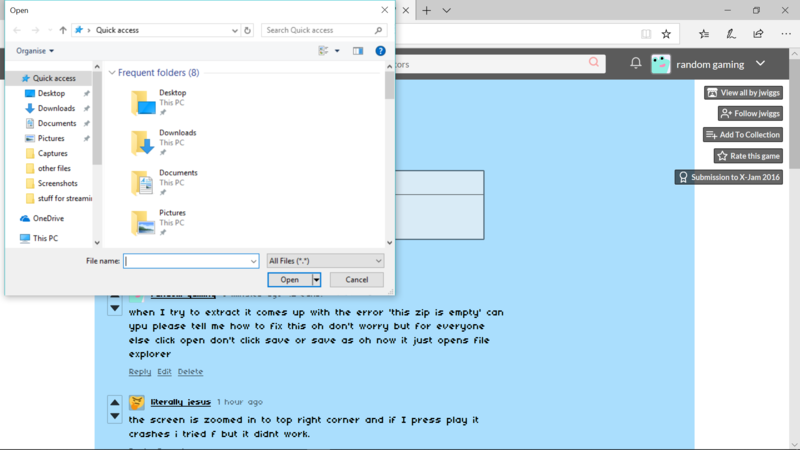 the screen is zoomed in to top right corner and if I press play it crashes i tried f but it didnt work. I am so sorry. I had a little run in earlier getting mixed up with my new game IIslands of War. I mixed up the files and accidentally replaced this one with a broken file. I have fixed it, but this game is 2 years old. Check out the newer game in the link! 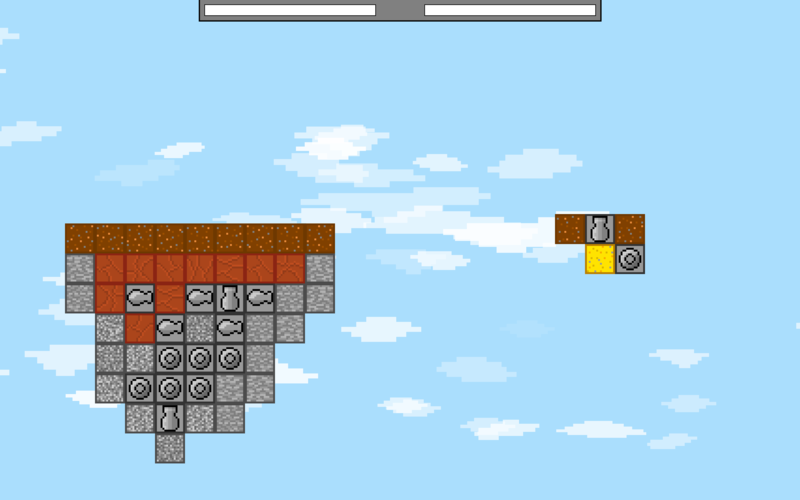 Try exiting fullscreen with F. If that doesnt work, i can rry to make the game start in non fullscreened mode in the next update dropping soon. If you need more help, try joining the disxord and sending some screenshots over. I am so sorry, I got the wrong game. Islands of war and IIslands of war both look so similar. 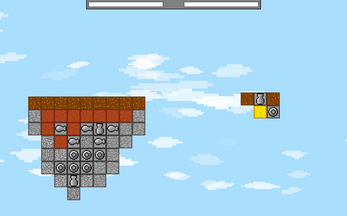 This is an old game, and unfortunately, I have lost the source code so there is nothing i can do right now to fix it. 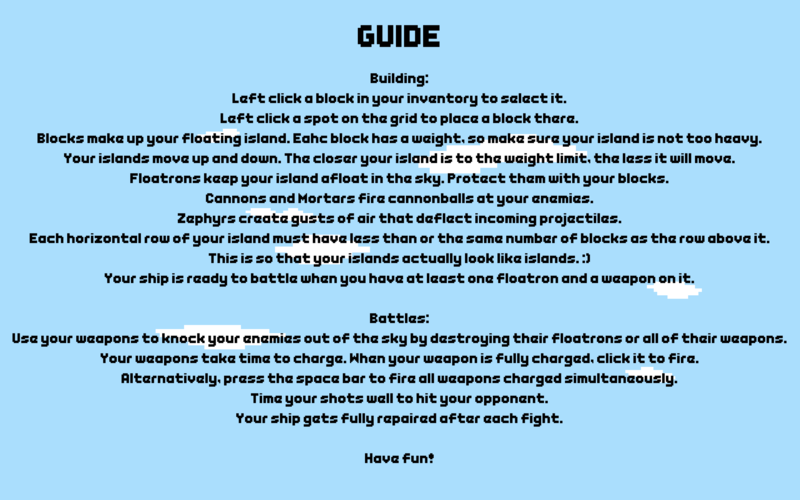 You could check out the newer better game IIslands of war(note the two I's) here if you want:https://jwiggs.itch.io/iislands-of-war. EDIT: Actually, i messed up an upload about 2 weeks ago and it just struck my attention that that might be the cause of all the sudden reports of buginess. So i have fixed this game, but do please give the other game a try. Its 10000x better. How to download? Just click the "Download Now" button. How to battle? Use W to activate thrust, and 1-9 to fire. Alternatively you can click the tabs at the bottom of your screen. How to build? Select items in the inventory using left click. 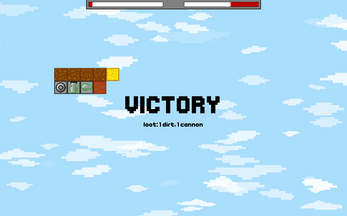 Place items using Left click. Delete items using Right click. How to get good?Join the discord here! I'm more than happy to help you even more there! Above all, have fun while playing. Cheers! I'm so sorry. I mixed up some files with my newer game IIslands of War and this game is indeed broken. I have fixed this game though, so it works now, but its 2 years old. I highly suggest you try out the newer game instead. Have you tried pressing F to go out of fullscreen? So sorry guys. The game you were playing actually doesn't work. I mixed it up with a newer game IIslands of War. Anyways, this game has now been fixed back to its playable state but I highly recommend you try the newer game(indicated by two I's). You need to add a save function plz then its a good game! !